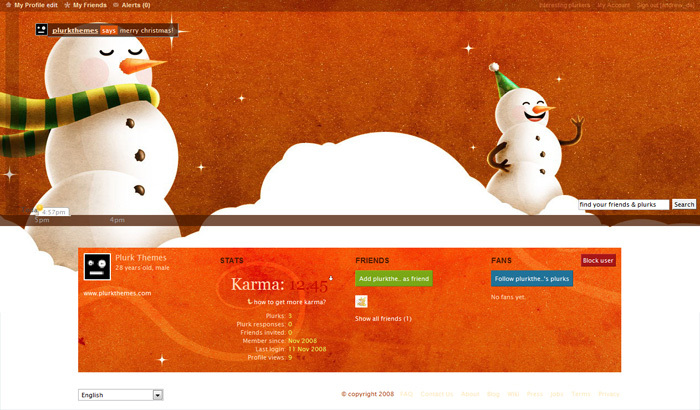 Snowman’s Christmas Theme for Plurk. I love it … ! Lovely …. I like this! fill with joy and hope. the color is so fresh!! I love this theme…wish you’d do some more with snowmen!! They are awesome!! Great job!! help, the image cannot be found! I like this one! I like snow and winter and everything about the season. But, why can’t I see the snowman? cute ^^ it is very good. Garbage. All the image links are busted.